Jacci DeVera is taking over my blog today. Run out and get her latest release: Queen of the Hollow. I was raised on a dairy farm. If you weren’t working, you were wasting time. I enjoyed nothing more than reading a book, which was frowned upon. There were times when the stories I read ended, and I didn’t want them to. Or occasionally, a TV show episode wouldn’t go where I wanted it to go. So I started fanfiction without knowing it was “a thing.” From Nancy Drew or the Hardy Boys to The Big Valley, Battlestar Galactica, and Star Wars was fair game to fanfic on. The added bonus was that I could write and carry around a pencil and notebook and therefore it was assumed I was doing homework. Which was deemed more acceptable in farm life than just wasting time reading. Very likely from the early beginnings of preferring Trixie Belden to picking up tobacco leaves, I had no intention of staying around these parts. I’d go to college and I’d get out and see the world. To a certain degree, I did. And I got my first taste of culture shock learning that women – and colleges – from “the South” were not viewed as up to the standards as the rest of America. I took offense to that, moved back to my hometown, and now proudly say not only am I from the Appalachians, I also like to create stories from the deep, rich history most people overlook when considering America’s roots. I discovered I’m not alone. And Southern women and Appalachian writers, like the history and magic of Appalachia, are starting to come into their own. “Queen of the Hollow” is set in a small community in the Appalachian Mountains of West Virginia. Sometimes referred to collectively as “mountain folk,” they do not like outsiders. Outside the state, outside the community, even sometimes from hill to hill is too far outside the clan. In “Queen” the only person who is willing to help young Calla, is an outsider from another continent. In any future tales, I foresee that will only add to the problems Calla is apt to face. 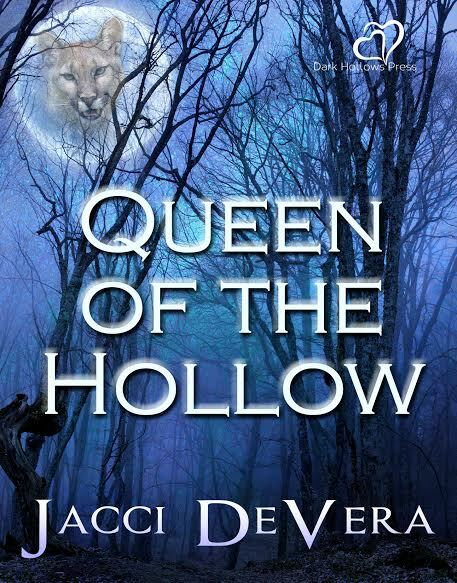 I would like to see “Queen of the Hollow” be the first book in a series. We took a vote and decided we all really liked the name High Lonesome for the series. It also happens to be the (fictional) West Virginian town in which their stories take place. Moreso, I have this dream of the series being “interactive” in that I would hear from readers about what they liked and what they’d like to see, and I could help paint this enigmatic world with a global perspective. I want to show what wonderfulness we have and live in here; but I also enjoy learning about it, often times by looking at it from outside the hollow. Below is the blurb and a short Excerpt from it. (A short excerpt for a short story.) I hope you enjoy! Haben hasn’t been able to get close to Calla since their meeting right around Valentine’s Day a year before. When he shows up at her house, he finds the wounded spit-fire determined for him to keep his distance – despite his instinct to keep her safe. She wouldn’t lie down. She told him she had no idea if she’d be able to get back up or not. Which was true. But she wouldn’t put herself in that position of submission with a tom here so close and her in her Heat cycle. That was just asking for trouble. He kept his attention on her injuries, on wrapping them securely, on looking for her a crutch or a cane to help get up the stairs. She focused on his eyes and his lips. His eyes were the most beautiful she’d ever seen. They’d been dark brown in the store. Here they were the color of creamy caramel and it made her heart beat in her ears every time they met her gaze. His lips were dark and shaped with a stern current underneath, which looked positively suckable when he bit the bottom one in concentration. She wondered if maybe God had made them so dark so his teeth would shine all the more white when they flashed a quick smile. She bet his teeth were long and sharp when he shifted.